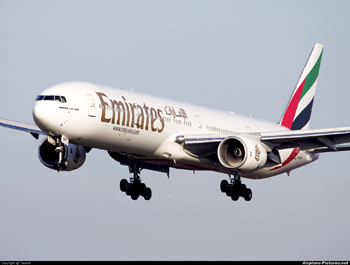 BAE Systems has signed a five-year agreement with Emirates, the world’s largest Boeing 777 operator, to provide maintenance and technical support for its entire Boeing fleet. “Our mission is to create an unequalled customer experience by consistently providing airlines with exceptional performance and innovation,” said Jeff Bartlett, director of airlines solutions for Commercial Aircraft Solutions at BAE Systems. “We have a long and successful history with this premier airline and this expansion of our nearly 20-year relationship allows us to provide an even higher level of service to the Middle East.” Under the terms of the agreement, BAE Systems will deliver on guaranteed turnaround times, position product in region, and provide benchmark technical support. The company will provide maintenance support for products supplied at line fit to Boeing, such as flight controls, flight deck systems, and control and monitoring systems, at its service centres in the US, the UK, and Singapore, all of which have received Gold Boeing Performance Excellence awards for tremendous focus on customer service and continuous improvement processes.